Renowned hardware developers Tecnobytes are back, with a new piece of hardware and a public poll to determine where to go next. Hmm. 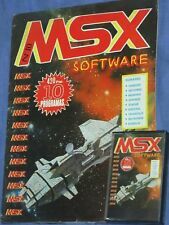 So as someone who uses a 64kb RAM Japanese MSX2+ machine and has never owned a MegaFlashRom or anything of the sort, how does this work? Is it just plug-and-play? Like, do I just stick the cartridge in the slot, and then insert a floppy disk with MSX-DOS, something like odo or loadrom, and a bunch of larger .rom files, and I'll be able to play those .rom files now when I couldn't before? Or does this have built-in storage for roms? I'm a total noob here, but I'm potentially interested, since the MegaFlashRom is kind of expensive and this seems to offer more memory space anyway. So any information anyone can provide on this would be greatly appreciated! I have previously owned a MegaRAM, very simple none volatile RAM, no flashing here! It will need a machine with a built in disk drive. ROM files are on the disk along with a loader called EXECROM. will load and execute nemesis, there are various path files available too. New hardware is always cool, but the survey seems to be gone??? OS + mass storage + flash + soundcards (scc-i and fm and audio and opl4 and....) and possibly RAM. So a lot of extras in just 1 (expanded) slot, even more in 1 cartridge than an ssc+sd or a megaflashrom-ssc-sd or a carnivore2. This product is similar to this designed for me at 2015, with loader from Armando ? All the photos on the site show a loose ROM board stuck into the MSX cartridge slot, which seems kind of iffy to me. If I bought this thing, would I actually be getting a cartridge casing around that, or would they just be shipping me a loose board? Also, thank you for the response, djh1697 -- that sounds perfect -- but just to double-check, would THIS SPECIFIC cartridge just be plug-and-play? Does anyone know? 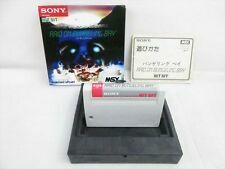 Like, could I put the double RAM cartridge into my 64kb Japanese MSX2+ machine, put in a disk loaded with MSX-DOS and a bunch of roms, and play those roms with execrom even if they're 512kb games, without having to do any additional fiddling around? Really tempted to buy one of these, but I'm a total idiot when it comes to real nitty-gritty technical stuff, so the more user-friendly this is, the more likely I am to get my money's worth out of it. Thanks for any responses you guys might have! I'm quite interested in such Tecnobytes peripheral, i.e. befeed up FPGA/CPLD + lots or RAM, because it has a potential as I would suggest later on. Firstly, a MSX-DOS 2 mapped RAM is going to be as useful as ever as time goes by and projects grow in scale. which it is quite fenomenal device to me. I wish Tecnobyte can go that route either because more RAM + FMPAC (FPGA/CPLD emulated)+ SCC/SCC+ (FPGA/CPLD emulated) + YM2149 (FPGA/CPLD emulated) + BIOS ROMs + peripheral You want. could be a terrific devices. NOTE - I couldn't use facebook login for weeks so I decided to start a new account. So I'm back, same old person. 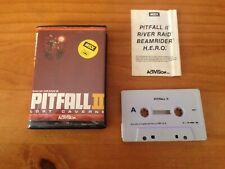 How is the final product going to be, With cartridge and box, and manual ? And how can i order and know my total cost ? I see it's 80 dollars but i want to know the total. Please a bit more info. The cartridge will be "boxed" (new pics http://www.tecnobytes.com.br/p/double-ram.html). 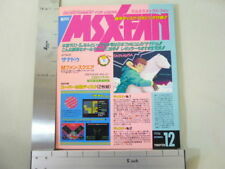 The use is very simple, but we will supply a manual and a CD with many MEGARAM "'ExecROM" games. About the total cost, you can simulate the buy to see all taxes and shipping values before close your order.